Larry was a modern day Nostradamus who remained actively involved in his research until his very last days. He was a deep thinker about the future and practiced what he preached. While studying economic anthropology at Columbia University, Larry gained a unique perspective into the rise and fall of civilizations: how greed, fear, love and hate are cyclical and repetitive not only in individuals, but in groups and entire societies and civilizations. Larry spent countless hours developing research tools and computer models to map these cycles and the patterns they forecast. He used these tools to help investors protect their money in the stock market crashes of 1987, 2000, and 2008. Just as important, he also guided investors through the rallies, helping them build wealth in good times and bad. Over the next 5 years, Larry believed, markets will behave in ways most investors won’t expect, as waves of capital move to places of safety. Investors who understand this can protect and grow their money. Those who don’t, stand to lose everything. This is why Larry established The Edelson Institute: to educate investors like you – investors who know the information they’re getting from the media and many advisors is suspect or downright wrong. The Edelson Institute’s goals reflect Larry’s life’s work: to not only help you increase your knowledge, but to also help you make more money AND protect your wealth. Dr. Weiss began his career in 1971 when he founded Weiss Research, dedicated to economic research and evaluating the safety of financial institutions. After working in Japan as a Fulbright Scholar, Dr. Weiss returned to the United States in 1980 to begin issuing ratings on banks and savings institutions. He issued the nation’s first independent insurance ratings in 1989, the nation’s first HMO ratings in 1994, and the nation’s first safety-oriented ratings on stocks in 2001. Unlike major Wall Street rating agencies, Weiss is free of any conflicts of interest, never accepting compensation from the rated companies. That’s why the U.S. Government Accountability Office (GAO) found that Dr. Weiss’s ratings of insurance companies greatly outperformed those of Moody’s, Standard and Poor’s, A.M. Best and others. It’s also why a study in the Wall Street Journal reported that his stock ratings outperformed those of all major Wall Street banks and research organizations. Dr. Weiss has testified several times before Congress, spoken frequently at major educational forums and appeared on most major television networks in the U.S. and overseas. He has presented papers on the economy and financial institutions to the U.S. Senate, U.S. House of Representatives, the National Press Club, the Securities and Exchange Commission, the U.S. Federal Reserve, and others. His educational background is diverse: Dr. Weiss studied economics and finance under the mentorship of his father. He earned a B.A. degree in political science from New York University; a Ph.D. in cultural anthropology from Columbia University; and fluency certifications from the Berlitz School of Languages in various foreign languages, including Cantonese, French, German, Japanese, Mandarin, Portuguese and Spanish. Sean travels far and wide to seek out small-cap values in the natural resource sector. His journey started in New England. As a youth he worked on Mt. Washington, on the cog railroad that runs to the summit. Working on the coal-fired, steam-powered trains was hard work but it was also incredible fun, and perfect for someone with an interest in the great outdoors and heavy machinery. He graduated college with a journalism degree, and experienced the Internet boom and bust firsthand as the personal finance website he worked for suffered a spectacular flameout. The experience of being dumped on the curb with a handful of useless stock options gave him an appreciation for real assets, something he followed up when he joined Weiss Research as an analyst. Sean left Weiss to become the investment director of the Sovereign Society, the world’s leading publisher of offshore asset protection strategies and global investment. But eventually, Dr. Weiss lured Sean back by promising he could do anything he wanted. What Sean wanted to do was cover natural resources … especially the little-known, undervalued foreign stocks he picked as likely to ride the next wave of the commodity supercycle. And Sean helped his subscribers score gains including 64.9% on MarkWest Energy Partners … 88.1% on Impact Silver … 157% on Jaguar Mining … and 305.4% and 368.7% on Great Panther Silver. And even during the brutal depths of the gold and silver bear market, Sean steered his subscribers to more gains, like 108.8% on First Majestic Silver. Sure, not all positions worked out. But time and again, Sean found big winners. Sean’s travels have taken him from diamond fields north of the Arctic Circle … to a gold project in Argentina … to an ancient city of mummies and silver … to a wild patch of mountains in Alaska where gold flakes still wash down crystal-cold streams. Now, Sean writes regular columns for EdelsonInstitute.com. He is also the editor of the monthly Wealth Supercycle and his premium publication, Supercycle Investor. His special reports on precious metals, energy, agriculture and more have gathered accolades from investors and industry insiders alike. And his book, “The Ultimate Suburban Survivalist Guide”, which helps prepares readers for all sorts of physical and economic crises, hit Amazon.com’s best-seller list. Sean is also a regular guest on one of Canada’s premier financial websites, HoweStreet.com. And in the U.S., he appears regularly on the Korelin Economics Report (www.kereport.com/). Mike Larson is a Senior Analyst for Weiss Ratings, and is also the creator of the course “How to Pile Up Profits from the Greatest Interest Rate Cycle in 5,000 Years!”. 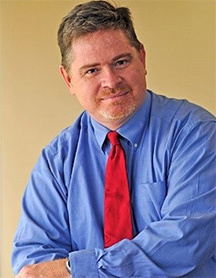 A graduate of Boston University, Mike Larson formerly worked at Bankrate.com and Bloomberg News, and is regularly featured on CNBC, CNN, Fox Business News and Bloomberg Television as well as many national radio programs. Due to the astonishing accuracy of his forecasts and warnings, Mike Larson is often quoted by the Washington Post, Chicago Tribune, Associated Press, Reuters, CNNMoney and many others.